This week is National Volunteer Week, not just here at home, but all across the country. It is an opportunity to recognize the impact of volunteer service in addressing some of the challenges facing society, in building healthier communities and being a catalyst that helps change the world. At UBC United Way, we know that volunteers are vital, not only to our fundraising success, but in helping address critical social issues in our province. In celebration, we will be featuring stories of volunteerism and service on Facebook and Instagram. Make sure to connect with us there to follow along. 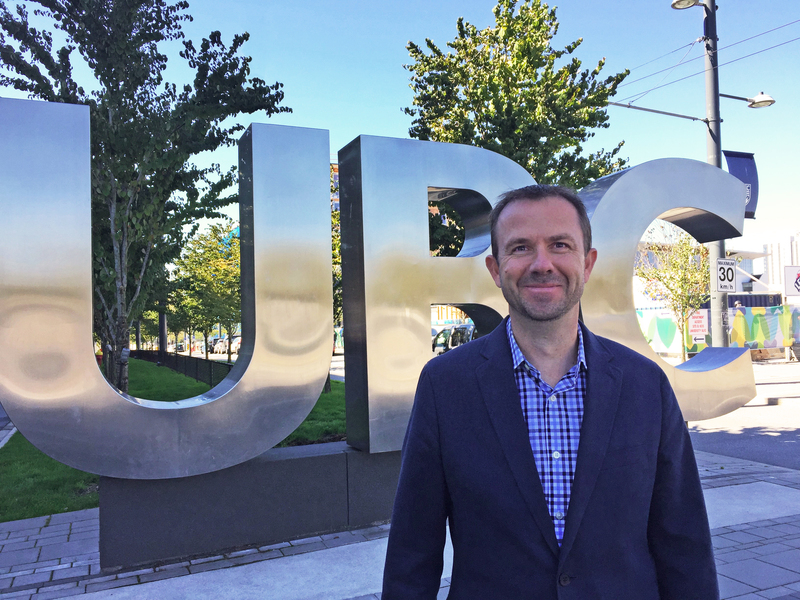 We first sat down with Colin Moore, Director of Food Services at UBC and the 2018 UBC United Way Campaign Chair, to understand what compels him to generously give his time and effort to ensure our communities are safe and inclusive ones. As we begin our conversation it quickly becomes apparent that, for Colin, UBC’s vision of ‘inspiring people, ideas and actions for a better world,’ reveals a deeper truth. Drawing on his years of service and volunteerism, Colin channels his passion for a better world not only into the teams that he leads day to day but also into the social responsibility he feels. Since joining UBC 5 years ago, Colin has been a dedicated UBC United Way volunteer; most recently leading the 2018 Campaign, which raised over $550,000 across both the UBC Vancouver and UBC Okanagan campuses. All of us at UBC United Way are extremely grateful to Colin and the countless UBC staff and students that dedicate their time, expertise, and resources to this cause year after year. With heartfelt thanks, we wish everyone a happy National Volunteer Week! To learn more about how you can be involved with the UBC United Way or the United Way of the Lower Mainland, please visit the Get Involved page on our website.